February 23, 2016 by Ecommerce News. About Statistics with tags Sweden. 6905 views. 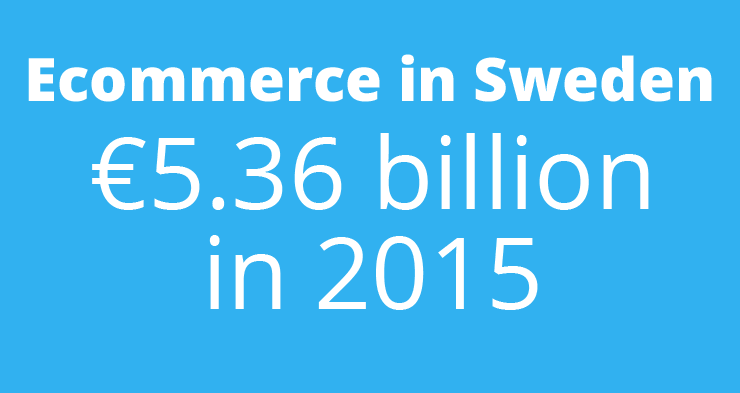 Ecommerce in Sweden has increased by 19 percent to reach 50 billion kronor, or 5.36 billion euros, in 2015. Since the financial crisis, the growth of this industry hasn’t been as strong as it was last year. The strong purchasing power is the key driver for this growth. In collaboration with Svensk Digital Handel and HUI Research, PostNord published its latest E-barometern [pdf], stating the strong growth in the ecommerce industry continued in 2015. Especially the DIY sector had a great year, while online sales of food took off. “It’s evident that we are now in a new phase in which digitization affects all industries”, says Carin Blom, ecommerce expert and PostNord’s retail analyst. As said, ecommerce in Sweden increased by 19 percent and was worth 5.36 billion euros last year, something that was already predicted after the third quarter of 2015. The total retail industry increased by 5.7 percent during the same period. 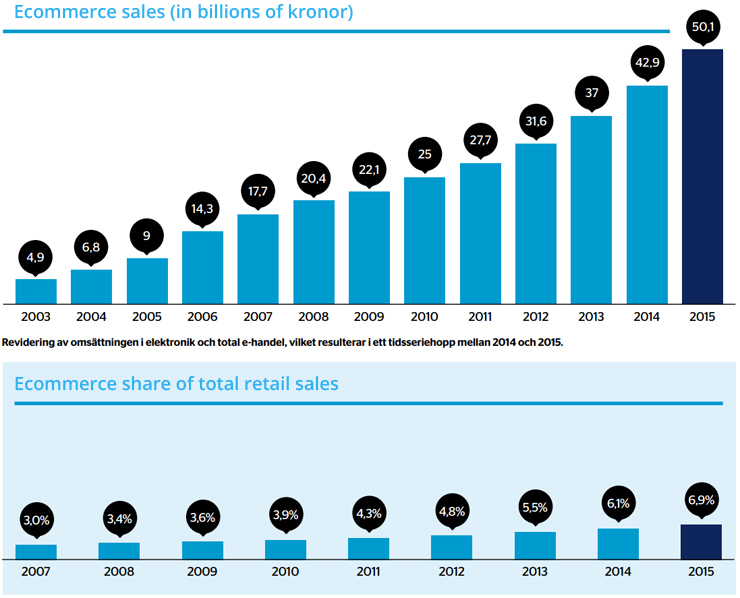 Ecommerce now represents 6.9 percent of total retail sales in Sweden. When the food industry is not included, its share is even higher, about 12 percent of total retail sales. Based on PostNord’s latest E-barometern, the most popular product categories in the Swedish ecommerce industry are consumer electronics (€1.18 billion), clothing and shoes (€899 million) and books and media (€385 million). Biggest growth in terms of sales can be found in the DIY sector (+38%), furniture and deco (+34%) and baby and toys (+34%). Respondents were also asked from which countries they purchased products online during the last quarter of last year. Of those who shopped at foreign stores (26%), almost one in three ordered something from an online retailer based in the United Kingdom (32%), followed by retailers from Germany (28%), the US (24%) and China (also 24%).